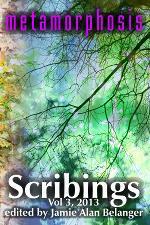 The new volume of Scribings is now available at Smashwords, and should be in the Kindle Store later today. It will arrive at other ebook stores and as a paperback later this month. We have been quiet for a while, but only because we've been very busy! For the past few months, the Greater Portland Scribists have been diligently working on our third anthology, Scribings, Vol 3: Metamorphosis. We started the project in November, and have been meeting weekly since February. Unfortunately, we've been spending so much time polishing our stories and artwork that we've sort of neglected doing things like teasing the cover art, or talking about our stories, or... well, just about everything else we usually do on this blog. But we take it as a good sign that even we can't stop reading and re-reading the stories in this volume. To the right is the ebook cover art (click image for full version), which started as a group experiment in abstract photography and ended up being so damn pretty we just had to use it. We can't keep this volume a secret much longer, since the targeted release date for this volume is this coming Tuesday, June 18th! 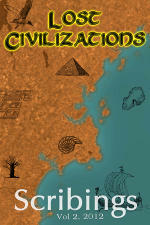 This volume will also be available as a paperback, which should be in Amazon by the end of the month. 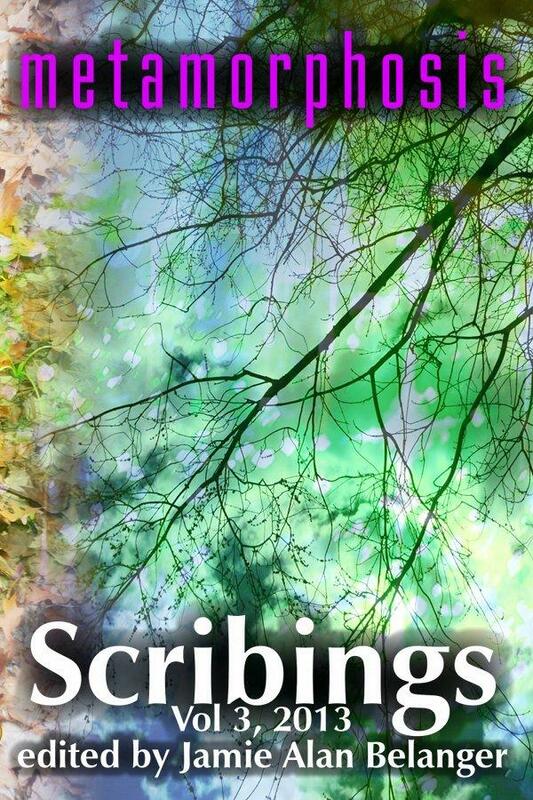 What can you expect from this new volume of Scribings? After centuries of forced servitude, the last living gargoyle must decide if he will still uphold his kind's sacred duty to protect. After ingesting a toxin, Braven's life is disrupted. Will an accidental romance and a foreign planet get him back to where he was? Marcie saw life as sink or swim, but her new friend led her to depths she didn't imagine. The straw that broke the planet's back. 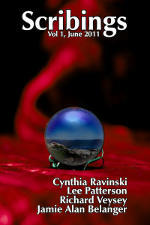 A boy discovers great power in a realm beyond dreams... and is ensnared in a nightmare from which he may not wake.